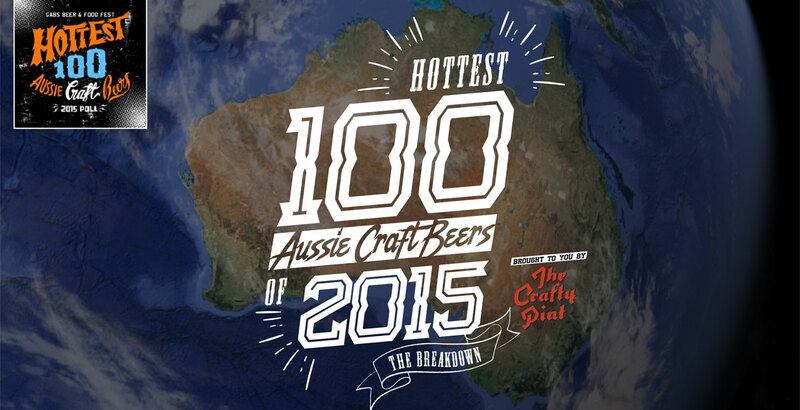 The results of the Hottest 100 Aussie Craft Beers of 2015 are out with Stone & Wood Pacific Ale taking top spot for the first time in four years and Pirate Life storming the top five in its first year in existence. As in 2014, we've done some number crunching so we can present some of the keys stats and trends to you in handy Infographic form. You can check out the full rundown as well as the climbers, fallers, new entries and some fun stats here and look out for more coverage on the site tomorrow. NB: We categorised the beers into styles in keeping with how we categorised them in previous years for consistency. Thus some beers were put into different categories to those they were registered as by brewers (eg there were many beers registered as IPA that were double or imperial or red). Look out for our thoughts on what this year's results mean tomorrow (Wednesday). And thanks to Mrs Crafty Pint NSW, Gia Coleman, for her assistance with the graphics again this year.